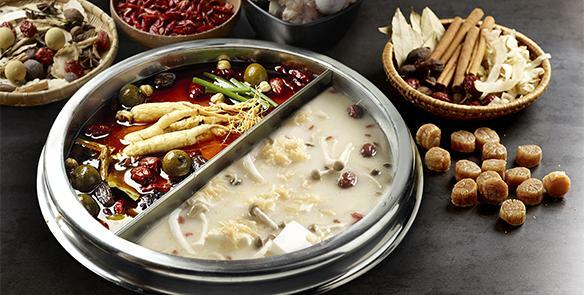 Engage your senses in a health and beauty hotpot experience at Beauty in The Pot. After 10.30pm daily, enjoy 20% off food ingredients (excludes soup bases, condiments and drinks). Savour the essence of health & beauty from our nourishing soup bases, which includes the all-time favourite Beauty Collagen Broth and Spicy Nourishing Broth. Every steaming pot of broth is prepared using a comprehensive array of quality fresh ingredients specially selected for a divine experience. Valid for diners with first order locked-in after 10.30pm. Discount is given on food ingredients before service charge and 7% GST. Not valid in conjunction with other discounts, promotion, vouchers or membership privileges. Management reserves the right to amend terms and conditions of the promotion without prior notice.